Cultural Compulsive Disorder: The CCD Podcast- Episode #56: The Terminator Retrospective: Part II or "There Were a Few to Many of These Terminator Films, Huh? The CCD Podcast- Episode #56: The Terminator Retrospective: Part II or "There Were a Few to Many of These Terminator Films, Huh? 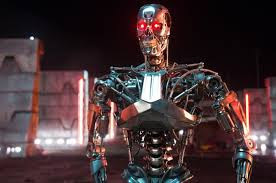 Part II of our Terminator retrospective is up, and we rejoin Rob, Leland, and Alicia on their trip through the Terminverse.... Part 3 and 4 may not have lived up to the legacy of Part 1 and 2 set out in establishing, but they do have some high and low lights to focus on. Join the CCD squad as they try to sort through the muck and prepare for the release of the 5th installment of the franchise this week in theaters!